AES Press Release: AES Milan 2018 » AES Milan Convention Opening Ceremonies Resound With "The Power of Sound"
AES Milan Convention Opening Ceremonies Resound With "The Power of Sound"
The AES Milan 144th International Convention set the stage for four days of all things audio with the Opening Ceremonies on Wednesday, 23 May. Exemplifying this year’s theme of “The Power of Sound,” the AES Milan Convention, taking place 23–26 May in Milan, Italy, brings together audio industry professionals, students, educators and top brands and audio service providers from around the world for the purpose of advancing the art and science of audio engineering. AES Executive Director Bob Moses began the opening ceremonies by welcoming attendees and praising the volunteers and staff who make AES Conventions possible. Moses introduced AES President David Scheirman, who highlighted the attraction of the Milan region as a historically significant center of technological innovation, led by visionaries including Leonardo Da Vinci and Marconi – such innovation continuing today with a concentration of professional audio manufacturers. As 2018 marks the 70th Anniversary of the Society, Scheirman reminded that in 1948, five individuals gathered to form the AES, which now counts over 12,500 members worldwide. In the past year, the AES has seen the creation of new professional sections in Nigeria and Taiwan, along with a new student section in Quito, Ecuador – the first AES sections in these countries. The AES has seen eight-percent membership growth in the first quarter of 2018 compared to 2017. 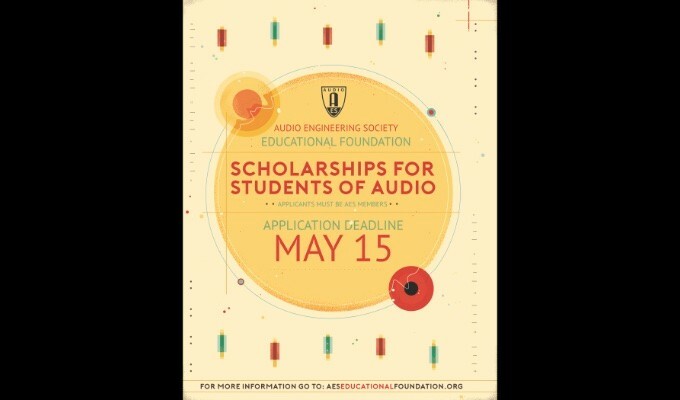 While highlighting the benefits of membership, including the largest repository of audio knowledge on the planet – the over 17,000 papers in the AES online E-Library and over 200 videos in the AES Live: Videos series – Scheirman encouraged all audio professionals to become members and for all members to “get involved”. Scheirman in turn introduced the Co-Chairs of the 144th AES International Convention, Nadja Wallaszkovits and Alberto Pinto, who thanked their Convention Committee members, sponsors and supporters for bringing AES Milan to life. Awards presentations are a part of the Opening Ceremonies at each AES Convention, and awards in Milan began with recognition for Convention papers presented by Bozena Kostek, Editor of the Journal of the Audio Engineering Society, and Dr. Rob Maher, AES Student Technical Paper Award Coordinator. The “Best Student Paper Awards” went to co-authors Qingbo Huang, Xihong Wu and Tianshu Qu, all of Peking University (Beijing, China), for the paper “Bandwidth Extension Method Based on Generative Adversarial Nets for Audio Compression.” The “Best Peer-Reviewed Paper Award” went to co-authors Leo McCormack (Aalto University – Espoo, Finland), Symeon Delikaris-Manias (Aalto University – Helsinki, Finland), Angelo Farina (Università di Parma – Parma, Italy), Daniel Pinardi (Università di Parma – Parma, Italy) and Ville Pulkki (Aalto University – Espoo, Finland) for their paper “Real-Time Conversion of Sensor Array Signals into Spherical Harmonic Signals with Applications to Spatially Localised Sub-Band Sound-Field Analysis.“ Both papers will be presented during AES Milan paper sessions on Thursday, 24 May. Four Board of Governors Awards – given for outstanding contributions to the Audio Engineering Society – were also presented. The recipients were Maurycy Kin, for his work in support of the Polish professional audio community, to Sascha Spors and Nadja Wallaszkovits for co-chairing the 142nd AES Convention in Berlin Germany and to Toon Van Waterschoot for chairing the 60th International Conference on Deverberation and Reverberation of Audio, Music and Speech. 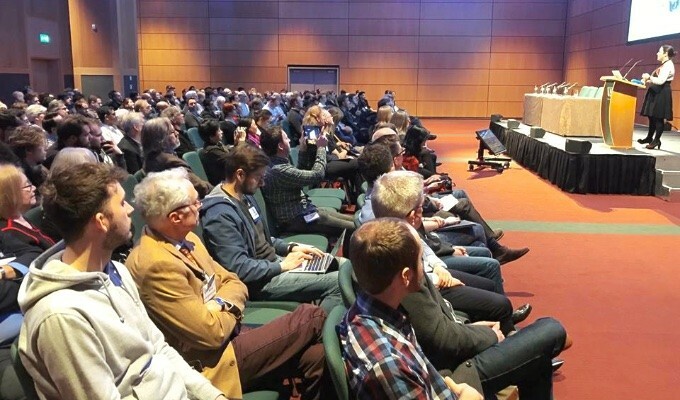 Capping the Opening Ceremonies was the Keynote address by Dr. Marina Bosi, who provided an insider’s view of the history of the science of perceptual audio coding, from its beginnings in the 1980s to the current state of the art and also giving a peek ahead to the future. “We see, more and more, compression as a technology enabler,” stated Dr. Bosi. Data compression efficiencies along with improved audio quality at lower data rates have accommodated the moves to surround sound – first 5.1 and now extending to even 22.2 immersive surround. More channels are accommodated at higher compression rates with excellent audio quality and more control with flexible rendering to allow adaptation to whatever configurations a consumer might be using. AES Milan continues for the next three days, including the opening of the exhibition, tomorrow, 24 May, through 26 May.